I love the fact that the author doesn’t over-explain things. He’s even content to leave some things completely unexplained, such as the origin of the loblolly boy and the powers of the mystical telescope. Rather than being irritating, this adds to the magical quality. I never once thought to myself, “why didn’t he explain such-and-such?” The unexplained is just as important to the feel of the book as the things that are explained. 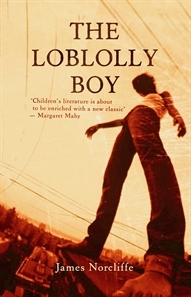 I must say that I am curious as to why the author chose the term “loblolly boy”. Perhaps there is a subtle meaning that I’m missing. As far as I know, “loblolly boy” is an old-fashioned term for the assistant to a ship’s surgeon, which seems to have no connection with the novel. But this in no way detracts from the story. This novel is definitely worth a read. I’d rate it as one of my favourite books of 2009.